Mazze updated LunaPaint 0.5 for Aros and uploaded his work to the archives for us. 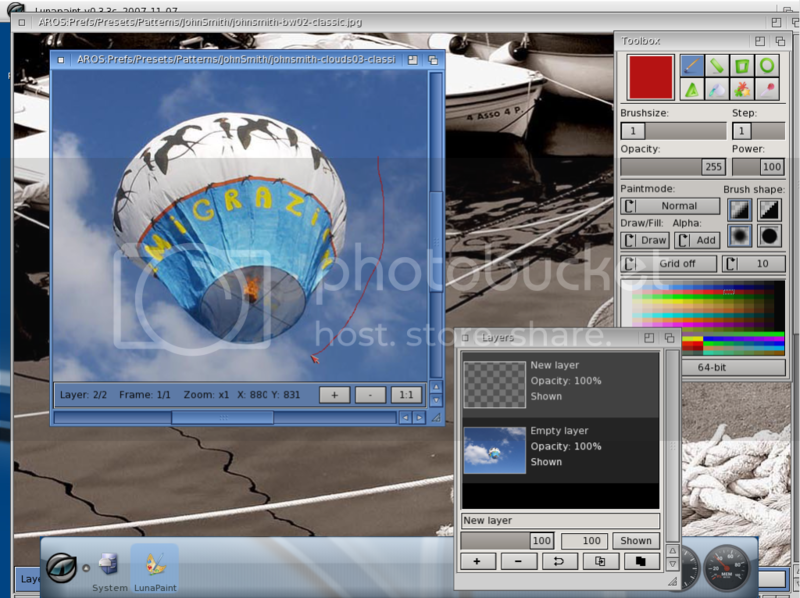 Lunapaint is a paint package for AROS, AmigaOS and MorphOS. It is designed to be fast and comfortable and is aimed at artists who make on-screen gfx, game graphics and animations. It has a nice comfortable Zune interface and has many features one would expect from a modern graphical editor package. Mazze re-compiled the latest released version against AROS' newer development files so that it's up-to-date again and hopefully removing some issues in the process.